Last article was “5 Best things you should know about PHP7”. If you are planning for PHP based development I would definitely recommend you to go for Linux based environment. I personally like the Ubuntu flavor. It is really developer friendly and power of terminal enable you the development much enjoyable. LAMP stack is combination of all open source software which helps to make dynamic web applications. This article can be considered as beginner article with LAMP stack. The word LAMP is an acronym of Linux, Apache, Mysql, PHP / Python / Perl, combination of all first character. You might have used WAMP, XAMPP and most probably if you are looking for same bundle software in LINUX, than you can make use of tasksel to enable all features together. There are many tutorials around guide you to install LAMP stack but if you are not willing to run many commands and installing separately software than solution here. 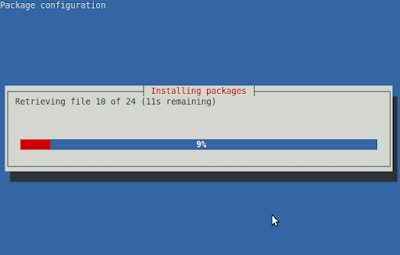 This step by step process assumes that you have already Ubuntu installed in your machine. There are there different ways you can easily install LAMP server on Ubuntu as below. Once you have Ubuntu installed, make sure everything up to date. You can update / upgrade Ubuntu by issuing below commands. Our next step is to install tasksel which enable you to install LAMP stack bundle software. Generally many people do install all software separately. In this article I will show you how you can save time simply using apachefriends project or simple command to wrap up all together. Open your terminal and type below command to open tasksel. Once you enter the above command you can see the window as below. Select LAMP server by pressing space and tab to select “ok” to start installation process. 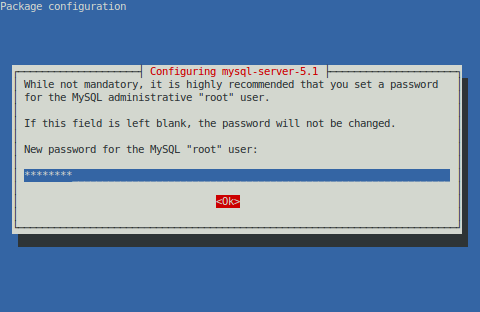 When the process will prompt you to set new password for mysql server, type and confirm the password again and hit ok. The installation process will continue as below screen. You can also install the same using single line of command by issuing below command from your terminal window. To make sure PHP running fine we will create a file called info.php into the /var/www/ directory. Paste below code into it. That's all. You are done. Hope this article helpful to guide you step by step LAMP stack installation on Ubuntu. Feel free to share or like us on facebook/ google plus. Keep visiting.